Former Speaker of the Nigerian House of Representatives and present Governor of Sokoto State, Aminu Tambuwal was yesterday denied landing at the Yakubu Gowon Airport, Jos. 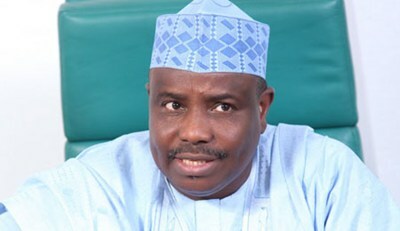 Mr. Tambuwal was said to be billed for landing on a chattered plane at about 5pm but could not secure approval to land due to the ongoing strike action by the national labour union. He was thus forced to seek landing approval in Bauchi which he was reportedly granted but could not make it to Jos where he was expected to address Peoples Democratic Party (PDP) faithful on his Presidential bid. Journalists and party supporters who had gathered at the PDP secretariat in anticipation of the Ex Speaker's visit were dismissed at about 8pm following an official postponement of the visit to today. The President of the Nigerian Labour Congress, Ayuba Wabba had yesterday vowed to shutdown all airports in the country to ensure compliance with the Union's directive to proceed on strike. The Union had called a nationwide strike following failed negotiations between its leadership and the Nigerian government over proposed new minimum wage.